Justice is a noble moral and a magnificent characteristic which is attractive to people, infuses hope in the hearts of the wronged, and for which the unjust pay utmost concern. By virtue of justice, matters return to their normal and right path, rights are returned to their owners, people are happy and life is rectified. Welfare is present as long as there is justice, and as long as justice is absent people will be miserable. Justice is a moral of those who are great, a feature of those who are pious, the want of the righteous and the way to success for believers in this worldly life and in the Hereafter. Justice was constituent in the character of the prophets, the righteous, leaders, mentors and above all the seal of the messengers, the master of humans, Muhammad sallallaahu `alayhi wa sallam ( may Allah exalt his mention ) enjoyed the greatest share of it. 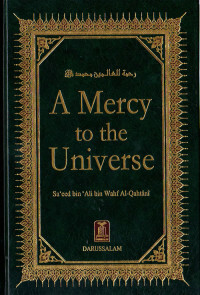 Almost everyone on the earth today is discussing Prophet Muhammad r. People want to know, "Who was he exactly?" "What did he teach?" "Why was he loved so much by some and hated so much by others?" "Did he live up to his claims?" "Was he a holy man? "Was he a Prophet of God?" 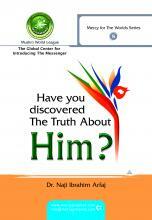 "What is the truth about this man - Muhammad?" There is no doubt that each civilization, philosophy and religion has its own distinguishing features. The stronger character of the civilization, and the more profound and comprehensive it is, the greater are its effects on the individual living within its bounds. D2. Muhammad r lived in total commitment to the belief that God (Allah in Arabic) was truly One God, and as such, He was to be worshipped alone, without any other "gods" beside Him. This is the very first commandment in the Old Testament (Exodus chapter 20 and Deuteronomy, chapter 5) and in the New Testament as well (Mark, chapter 12, verse 29). "Recall when Abraham's Lord tested him with Commands, that he fulfilled. Allah said, "Surely, I am going to make you a leader of mankind. (Abraham said) "And my offspring, too." (Allah) said, "My Covenant does not include wrong-doers. K2. 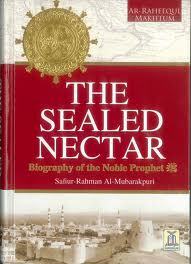 Muhammad r was the defender of the orphans and even the newborn children. He ordered the care of orphans and feeding of the poor as the means to enter Paradise and if anyone held back the rights of those who were destitute then they would be severely reckoned on the Day of Judgement. He also forbade the killing of new born girls, as was the custom in Arabia during his time.